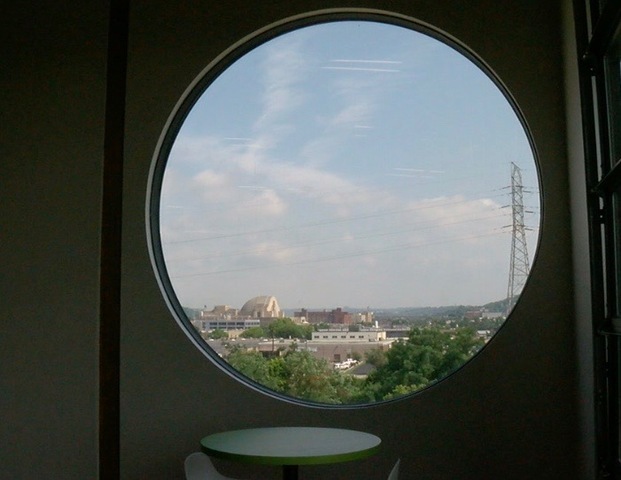 CINCINNATI - Talk about a room with a view: Tom Fernandez can see the future from the rooftop deck of his new corporate headquarters building in Queensgate. 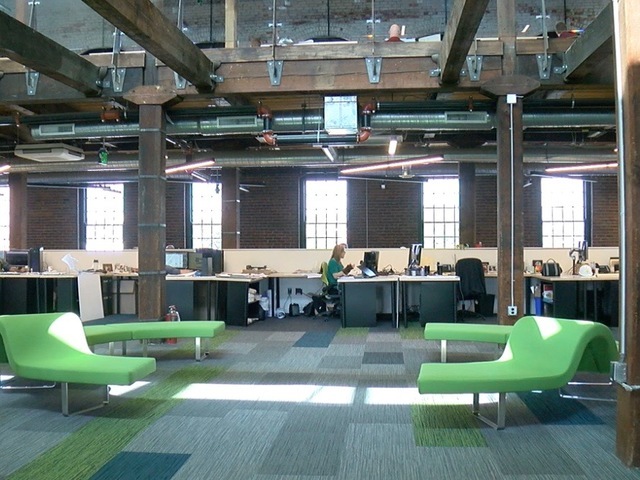 Elevar Design Group converted a 128-year-old industrial warehouse into modern office space for more than 80 employees. Now it has a showplace for the design and engineering capabilities that Fernandez hopes will fuel a national expansion. “There’s a little bit of craziness involved when you jump into a project like this, but hopefully the payoff will be that it will be a destination location not only for our staff but for other members of the community,” he said. WCPO got an exclusive look at the now-completed $6 million project at 555 Carr Street, from the heavy timber beams that were locked into place by gravity in 1890 to the brand new rooftop “clubhouse” where Fernandez will be able to see the firm’s next big project: FC Cincinnati’s stadium in the West End. The project also pays homage to the company’s heritage, as construction began 50 years after Fernandez’s Cuban immigrant father founded the firm, formerly known as SFA Architects Inc. Founder Emilio Fernandez, 88, was an accomplished architect in Havana when Fidel Castro came to power in 1959 with a socialist regime that effectively ended his prospects as a builder of privately owned real estate. As director of public buildings under Castro, Fernandez oversaw the reconstruction of Cuba’s war-damaged international airport in just four months. But as time passed, his moral objections to the Castro regime caused him to escape to Florida. In 1961, Fernandez moved to Cincinnati to be closer to his wife’s parents. Otilia Fernandez began a 31-year career as a Cincinnati Public Schools teacher while her husband learned English and found a job drawing architectural sketches until he became a licensed architect in 1964. The youngest of three siblings, Tom Fernandez said his father is rare among architects in that he’s also a trained engineer. In fact, he did much of the structural engineering on the new headquarters building. “Structural, civil (engineering), HVAC, electric, plumbing, he does it all,” Tom Fernandez said. Like Emilio, the firm offers a wide range of building services, many of them added to the company in a series of acquisitions that followed the 2008 recession. Tom Fernandez continues to hunt for new acquisitions that could take the company to California, Florida and maybe even Cuba someday. 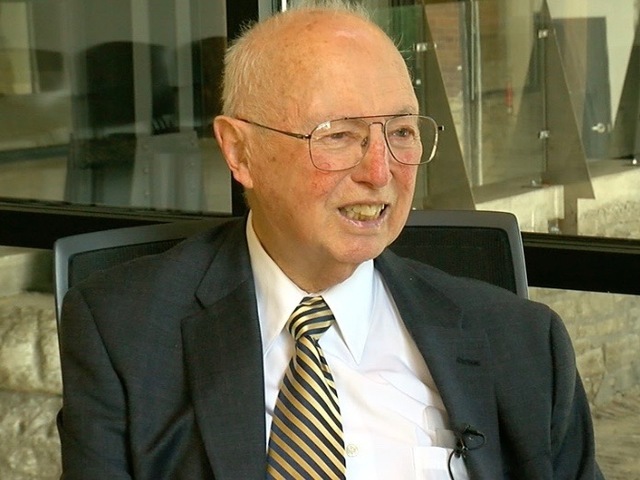 Eight months shy of his 89th birthday, Emilio still works more than 30 hours a week in a third-floor corner office. That job began with the 2016 purchase of a 60,000-square-foot structure that was built to handle the manufacturing and distribution needs of long-defunct Ault Woodenware Co.
Fernandez financed about half the project with bank loans, while most of the remainder came from economic development incentives. The city of Cincinnati contributed a 12-year tax abatement worth about $900,000. The state of Ohio chipped in a $300,000 grant and low-interest loan. The original cost estimate for the renovation was $3.7 million, but there were some unplanned change orders along the way. For example, an elevator shaft with rotten timbers had to be rebuilt. 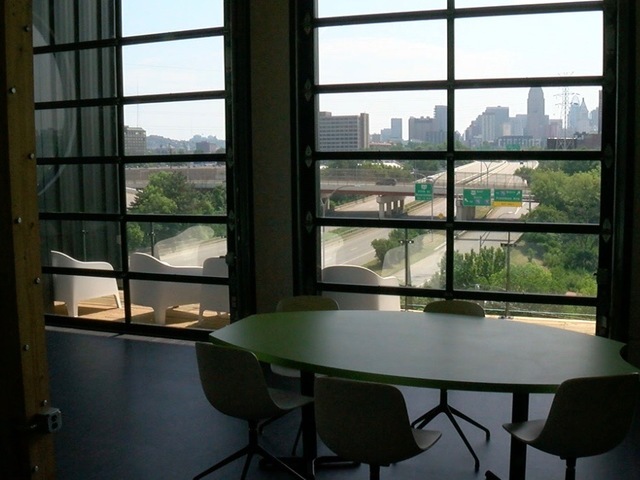 A 9-foot radius window was added to the rooftop room to take advantage of the building’s north-facing view of Union Terminal. It’s one of many examples of how Elevar seized on design features unique to the building itself. A discarded beam was fashioned into a coffee table on the third floor. A three-story atrium was carved out of the building’s midsection, flooding office cubicles and common areas with natural light. 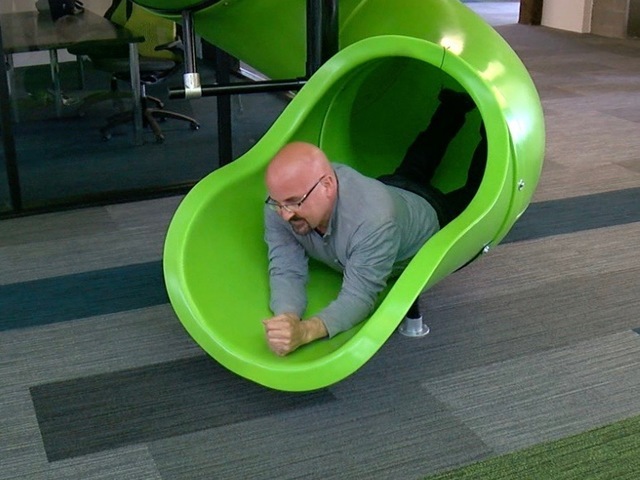 Fourth-floor employees who don’t want to wait for the elevator can take a circular slide instead. 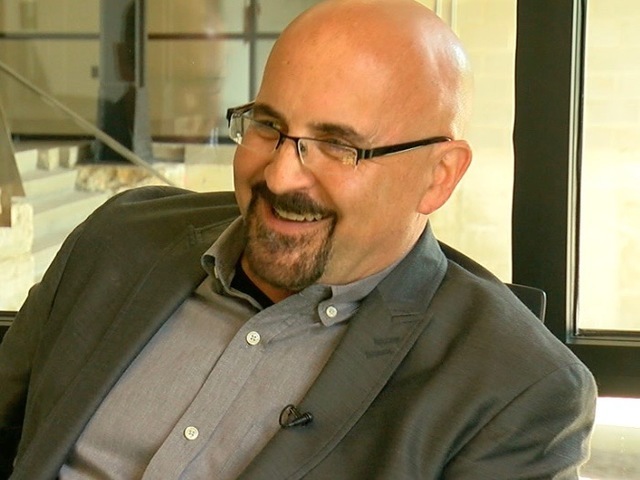 Tom Fernandez believes such elements spark creativity. 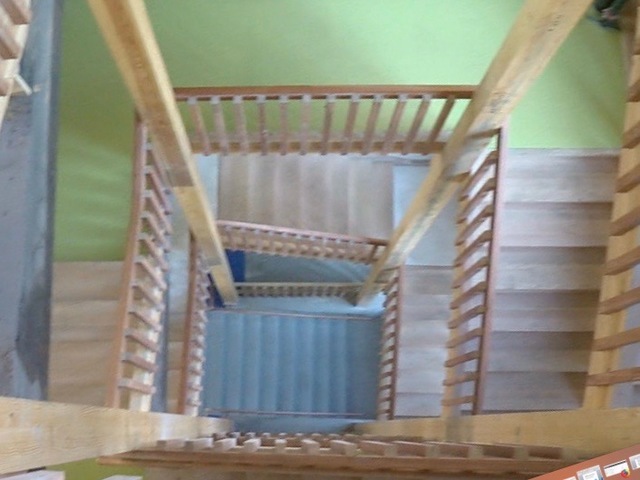 Even the fire-exit stairwells have interesting design elements, both of them supported by 60-foot-long wooden support columns that arrived in one piece and had to be crane-lifted into place. But the building’s most iconic feature is the fifth-floor rooftop addition, which doubles as an employee break room and event space with garage door windows that slide upward so guests can access the rooftop deck. 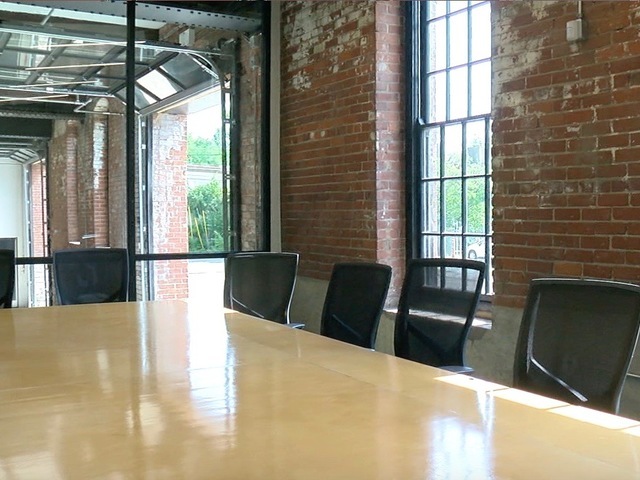 Fernandez expects to host clients and offer the space for nonprofit fundraisers. The building’s second floor remains unfinished. Part of the space will be a workshop where employees can build scale models and complete their own woodworking projects. Fernandez is talking to local chambers of commerce about sharing another 12,500 square feet on the second floor. Chambers representing the Hispanic, Indian, Chinese and African-American business communities have been invited so far. A business incubator is another possible use for the space, he said. 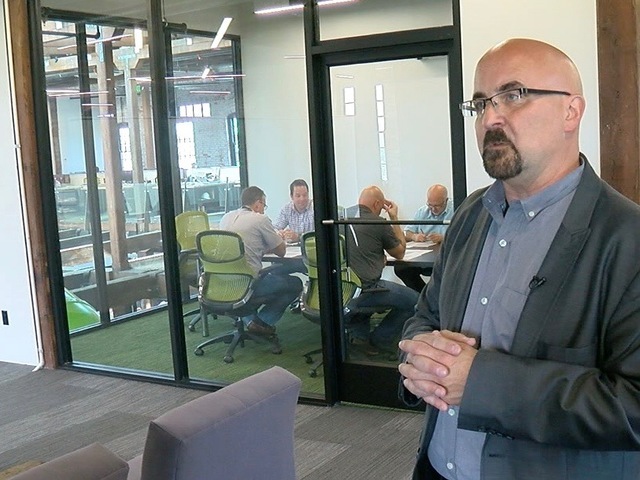 Now that the project is finished, Fernandez said Elevar’s employees have taken ownership of the building, bringing their families to the fifth-floor clubhouse on weekends or letting their kids play on the indoor slide.